I had a really swell weekend, meeting friends and taking part in wonderful as always Granny Would Be Proud Fair. Got a marvellous owl themed print from gifted Libby Walker, three vintage hand-coloured postcards and ate a truly gorgeous lemon and white chocolate cake by Lewa Thomas from Lewalicious Cakes. You can meet me next Sunday (5th February) at Gin in Teacups in Chambre 69 by Nelson Mandela Square in Glasgow. 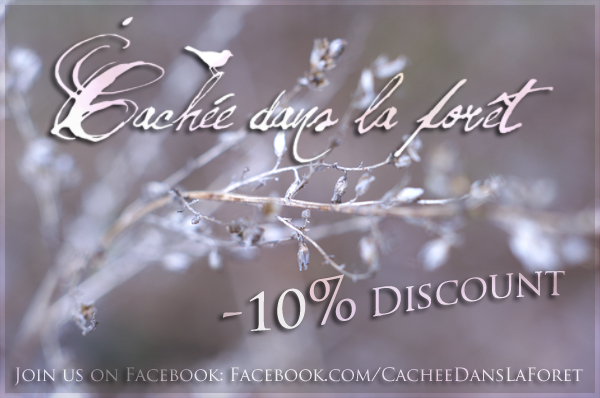 I'll be happy to help you find a gorgeous gift for your Valentine. In the meantime, I've updated my etsy shop, so head there if you're not in Glasgow area - there are keychains (very practical! 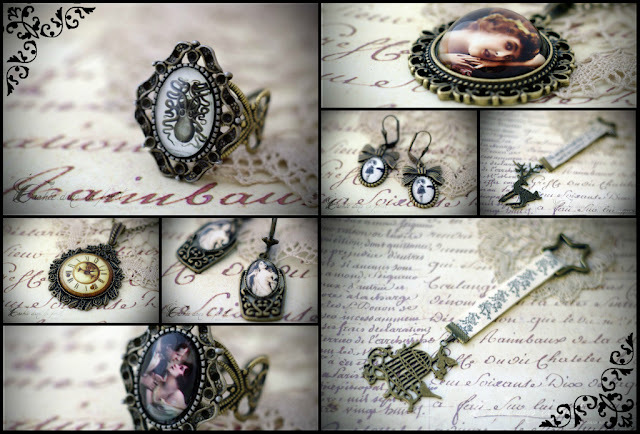 ), earrings, pendants and much more. Remember about the code "FREESHIP" - enter it during checkout to get free shipping on all my products! If you happen to be in Glasgow area tomorrow, there's no excuse to miss the wonderful fair just in the city centre - it's called Gin in Teacups and takes place in Chambre 69 on Nelson Mandela Square. And guess what... I'll be there! "Think camden lock in a punked up bygone era, a mini scuzzy berlin tascheles, a parisian vintage flea market, Gin offers the best of Glagows, arts/crafts/fashion and more vintage regalia than you can shake a stick at. 25 stalls from independent sellers offering a diverse range of clothing, records, cakes, gifts, jewellery,hand printed t-shirts, a psychedlic shopping experience for those craving 'not on the high street' style. The day is accompanied by a blend of vintage inspired garage, punk and psyched out tunes from guest Djs and a live performer each time, from hip hop dancers, to songwriters, from comedians to harmonica players, a carnival of the best underground talent Glasgow has to offer." 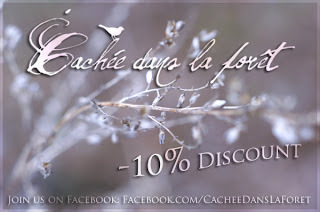 ..:: LINKS: FACEBOOK | CHAMBRE 69 ::..
*Please note that coupon works only at my (Cachée dans la forêt) stall! I'm back in Glasgow after wonderful Christmas spent with my friends and family in Poland. I hope you had a great and inspiring time as well. 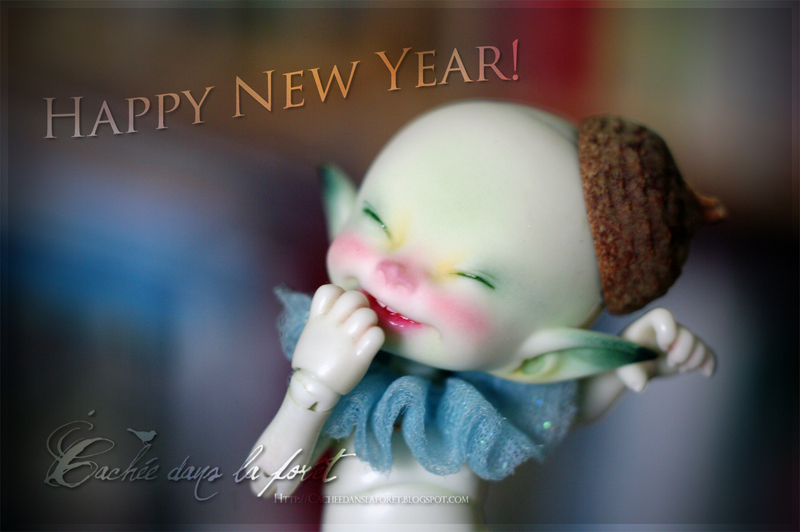 I want to wish you all the best for the new 2012, may it be full of happiness, cupcakes and fantastic new ideas coming to life!